I actually did not give any specific direction to Lime Ears on the design for the Model X. I actually just sent them a pic of something I liked and left Emil to his own creative devices. It was perhaps no surprise that he slipped in something “lime” into the design when it came back. Coming hot after Custom Arts identified green as our lacking color in our previous reviews I think I am not well stocked on striking green color schemes. The shell is a hollow body lacquer finished acrylic material with their own cola brown transparent hue. Its deep enough to mask the internals from the prying eye with just enough transparency to create a compliment to the face plate which is more solid in color. It is basically quite organic in the tone which is something I quite like. The faceplate is what they term in the business as a leaf design and you can custom order this in a few variations. This is not an available design in the store, you may have to email Lime Ears and specifically ask for this and price it up along the way. Of course, the signature lime/green color is akin to an actual leaf but fits smartly into their own branding. It also keeps things fairly organic in themed sitting alongside the cola brown translucent shell. Note the small black lever at the top right-hand corner of the plate which is the switch and you can move this up or down. Down reduces the low-end output and up increases the bass response. You may not be able to see clearly enough from the picture but the nozzle on the Model X is a tri-bore design rather than a horn construction and using the VariBore technology. As mentioned in our pitching and technology discussion on page 1 the bores are all different in diameter to maximize the individual frequency response groups. This means each bore opening at the tip of the nozzle has a different diameter. In the case of the Model X you have one bore opening roughly twice the size of the two smaller ones which look to me about the same size as each other. The Model X comes with a single Plastic One type 4 core copper cable in a black PVC jacket measuring 1.2m in length and terminated with 0.78mm 2-pin connectors. The cable is designed to be worn over the ear and fit into the 2-pin flat sockets on the shells of the Model X. 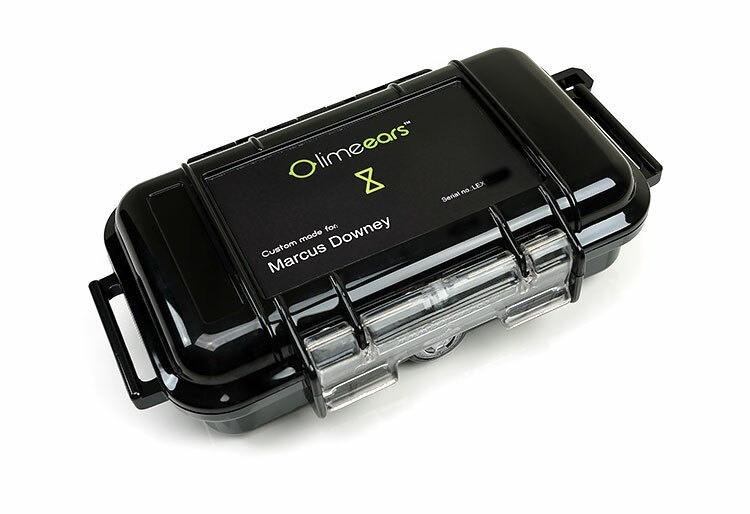 Lime Ears currently do not offer any recessed socket or MMCX options as standard. For MMCX and recessed you need to email them for a special order and they will customize if possible with MMCX and/or recessed. The cable is fixed in color with a black or silver/transparent color option. The input jack is a 3.5mm gold-plated right-angled stereo jack with decent strain relief. The cable is finished with a light PVC “hook” above each termination for molding around your ear and keeping everything secure. The stock cable is largely inoffensive and smooth sounding but lacks a little in dynamics and separation for me. Nothing beats a nice upgrade cable with something like Whiplash’s Silver Twag V4 or the Effect Audio Thor II (retails around $300) as viable options for the Model X. Both will give you a nice boost in dynamics with a more holographic quality to the staging as well as a touch more top-end sparkle. 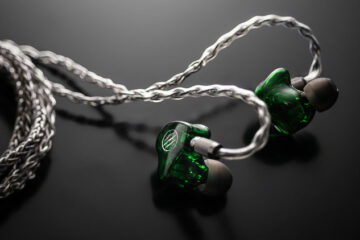 The Twag V4 will give you a slightly more forward treble response and the Thor II will give you better low-end dynamics. Something worth considering if you find the stock cable a bit too bland. 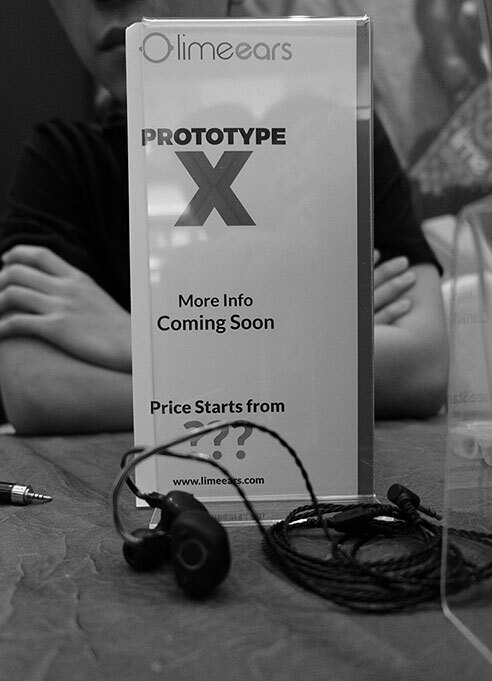 The Model X fitting is comfortable with a pro length nozzle and a fairly secure position in the ear. Background noise is nil, isolation is excellent. Being a balanced armature driver design there are no ports for bass drivers to breathe out so it is a step up on hybrid custom designs. The accuracy of the acrylic shell from the mold is very good indeed. Lime Ears did a great job with zero gaps either open or closed jaw and no uneven pressure points. The ‘pro-fit’ for those who may not understand will have a fairly even pressure against the entire ear canal and a deep insertion. You can sometimes shorten the nozzle for a more relaxed fit but I find them prone to gaps forming and a looser fit. Pro-Fits are designed to be rock solid for musicians and this one fits the bill in that respect. The 64 Audio 3-D printing design is technically the most accurate fit I have experience today so in terms of comfort it is class leading with some very precise contours. The pressure is around 50% less on the ear canal and has a slightly shorter horn nozzle. However, the APEX module system means it does not isolate quite as much as the Model X due to how it handles pneumatic pressure away from the eardrums. In some ways, the pressure and fit are the same as the Model X, especially for the FIBAE 1. The silicone fits from Custom Art are very different though with a smoother more rubbery texture that seals brilliantly and are very comfortable. 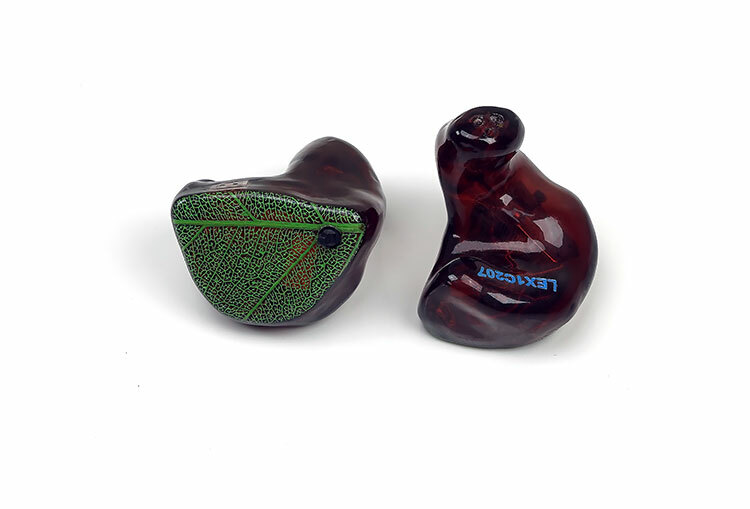 Compared to the acrylic design though the Model X is slightly bigger with a minor increase in girth so it sticks out of the ear a little more than the FIBAE 1. Both have even pressure throughout the canal and both have excellent sealing qualities. The BD4.2 fit is a little more comfortable than the Model X but has less isolation and a much deeper shell. 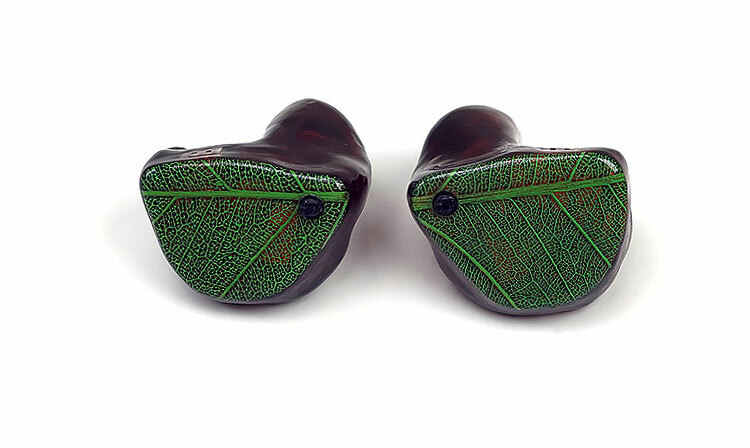 This will stick out a bit more of your ear due to the dynamic driver hybrid design. The dynamic driver also means it needs to vent hence the lower levels of isolation. The quad-BA SA-43 fit is still up there as one of the best pro-fits I have received in the last 3-4 years. It generates less pressure on the canal than the Model X so it has an edge in comfort but maybe about 25% less isolation in comparison. It does stick out a little bit more from the ear than the Model X with its deeper body. The pro-fit SA-43 also has a longer nozzle than the Model X. I call it the ‘drum tickler’. The core presentation of the Model X is primarily musical in nature with a slightly u-shaped frequency curve though the extent of the response bias depends on the switch position. With the switch down you get a -6dB decrease on the low-end up to 600Hz which tends to give the Model X a more neutral tonal quality and slightly less warmth into the mids. Tonally this is a bit flatter but more accurate sounding with more balance across the range. Bass response still has a touch of warmth but the elevation is much milder than ‘switch up’ so it does not sound as full-bodied. The bias here is more typical of a very natural BA sound staying well defined but snappier sounding and quicker paced. Switch down mids are more neutral in their positioning with excellent instrumental clarity and separation as well as a very smooth sibilant free vocal presence. There is slightly less richness in its instrumental timbre, yet it still sounds fairly natural and accurate to my ears. With a less dominant low-end, switch down’s superior clarity will provide a little more room to pick up on spatial cues and generally has a bit more precision in terms of accurate imaging. Treble in switch up is neutral to slightly laid back with a bit more emphasis on its lower treble with a rising response curve from around 2-5k and smooth drop to a small bump around 10-12k. What I like about the Model X’s top-end though is that it doesn’t sound shelved down with more than decent headroom and enough air to prevent it pushing down on vocals. There is a definite even harmonic bias but it is not overly rounded sounding with a nice little edge in its attack to lift percussion and higher pitched vocals and give them some welcome contrast. With the switch up you get a fuller and warmer low-end with a richer sounding instrumental timbre. With the boosted low-end the mids will sound a bit further delivering more of a V-shaped response with a corresponding upswing in treble contrast. The low-end dB boost pushes the bass further forward than the switch down mode. Sub to mid-bass boosting from around 30-150Hz produces a much more powerful and dominating bass response on the Model X. The dip into the lower mids will still carry a bit of warmth from this elevation and will add a bit more body to instrumental timbre. Lower pitched instrumental work, particularly guitar work with sound richer and more authoritative on this switch setting. Vocals for me do not actually change their position or presence with either switches but due to the more elevated nature of the low end they will struggle for a bit more air and fall a bit further back in the mix. Female or higher pitched vocals will perform better than lower pitched male vocals which tended to sound a little smoothed over in comparison. In fact, I preferred high pitched female vocals on switch up, they had a fuller more enticing forward presence than switch down. Treble positioning on the Switch up is a clever sleight of hand for me. Technically it is the same for me as switch down with a neutral position and a natural sound. It has a nice balance, never sounding peaky or too brittle with a slight lower treble bias and rising response from around 2-5k and a gentle nudge in its brilliance region for some additional air and sparkle. However, with the accentuated low-end drawing some focus away from the mids that rising energy from the upper mids into the lower treble brings a bit more perceptible focus and contrast between the Model X’s top and low-end. The soundstage of the Model X is fantastic but not fixed in stone. It is hard to believe this is a quad BA design to be honest, especially when you opt for the switch up and throw in that additional low-end presence which adds a perceptible step-up in depth. With switch up, you get a more forward sounding low-end and a bit more staging depth. Lower mids also come forward a bit more and though vocals for me have a fuller sound they will have sound a little further back as a result of the bass boost making everything slightly more v-shaped and musical sounding. This is the fun switch in a sense with a very forward sounding low-end. With switch down, staging becomes a little more balanced with less depth and linear low end. This frees up a bit more space for a more open sounding mid-range and a more agreeable level of instrumental clarity. This is the more reference sounding switch and perhaps the more accurate of the two. Hi Marcus, was wondering if you could do a comparison of the Model X with the FIBAE1 too? chalk and cheese – one is neutral and reasonably flat and the Model X is much richer and with more bottom end. 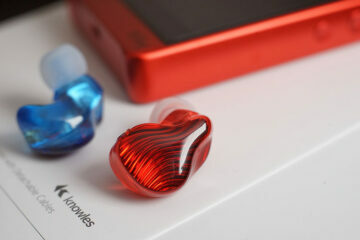 the better comparo is with the FIBAE 2 and our review will be out in a week or two.